From the north, Zyka is conveniently located at a fork in the road. Scott Boulevard goes one way, Church Street another. As Zyka shares a common space with a Montessori school, on the Church Street side there is a really large nice parking lot that is hard to miss. On the Scott Street side the divided boulevard makes it impossible to approach without turning around. This isn’t a place concerned with presentation. 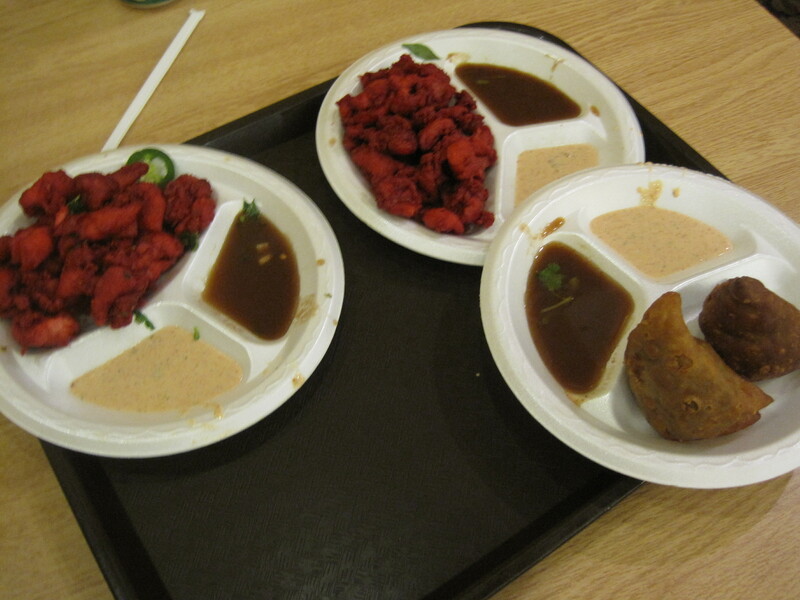 Food is purchased at a countertop and served in plastic. Often the foods are oily and it’s hard to fish out the “good bits”. That said, the meats are all Halal and when things are good here, they’re often quite satisfying. 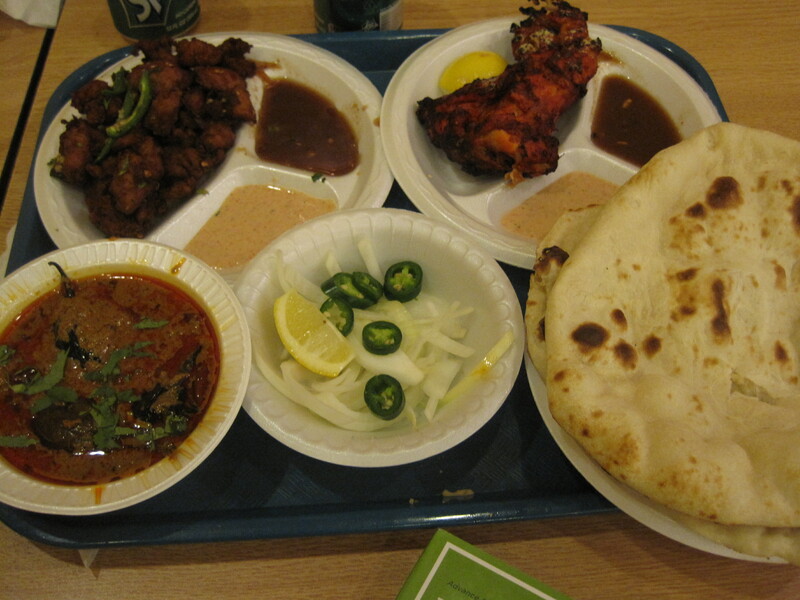 The things to go for here are the Tandoori chicken, the naan, the samosas. We found the Tandoori chicken and samosas to be good, and consistently spiced. The chicken 65 and its cousin, chili chicken, are bland and not really noteworthy. This might be in part to the very poor hot peppers we had on our visits here. They were advertised as “chilis”; with few exceptions they might as well have been bell peppers. This place has quality control issues with its heat, its spiciness. I’ll note I even asked once to make the chicken 65 spicy, and it came out as bland and lifeless as before. Do you think they use 65 different chilis in this preparation? you’ll note the dish is prepped with plenty of chilis, and that the video author apologizes for how spicy he makes his product. So to be sure, there are different notions of how spicy this dish should be. Even so, I want some spice, and not just a red and underspiced rendition of Kentucky Fried’s best. I liked most of the other dishes I had. It’s tricky finding diabetic safe vegetables on Zyka’s menu but it is possible. If you watch the crowds here, they are every color of the rainbow, wearing everything from dress clothes to shorts and slippers. Waiting to place an order, the crowds often extend across a third of the floor, and much of that business is “to go”. Individuals, couples, and large families eat here routinely, so Zyka is surely doing something right. Another view of Zyka is presented here.